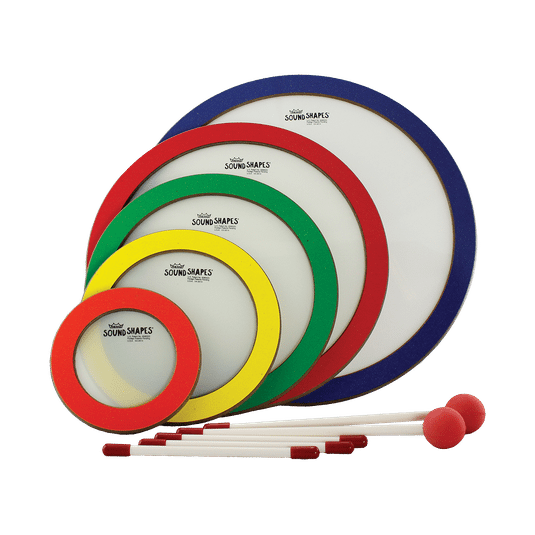 The Sound Shapes® Circle Pack features five circular shapes in different diameters and colors with specific pre-tuned pitch relationships. Constructed with Acousticon® shell material, the Sound Shapes® Circle Pack provides a wide range of five tones which can be manipulated for a variety of effects. 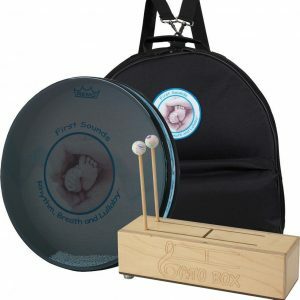 Sound Shapes® are easily stored, portable and stackable. 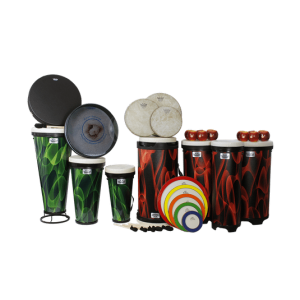 Ideal for Recreational and educational applications. 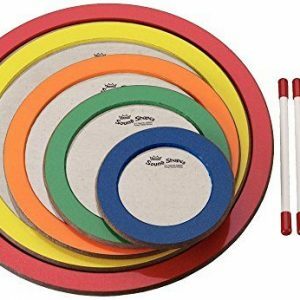 Available in 5-piece Circle Packs consisting of sizes: 6″, 8.25″, 10.5″, 12.75″ and 15″ Circles in random colors. Beaters and mallets included.